Former An Post-Sean Kelly professional, Mark Cassidy has said he knew going into the start of this season that his head wasn’t right and it was inevitable that he would walk away from the sport. He had been with the team since 2006 and re-signed for the 2012 season last winter. But midway through his first race, the Beeverbeek classic, he decided he’d had enough and went home shortly afterwards. 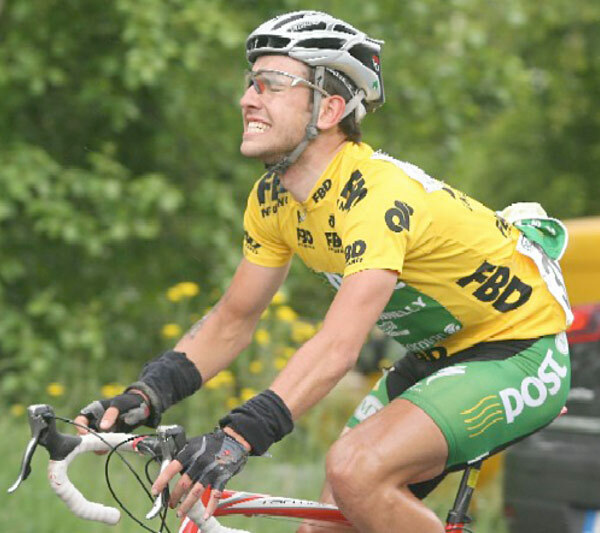 It was an ignominious end for the 27-year-old former U23 National Champion but one that he has very little regrets over – an injury stemming from a crash in the 2008 FBD Rás not helping his enthusiasm to race professionally. “We had training camps before the Beeverbeek and I didn’t feel great or didn’t improve so I didn’t even get picked for any of the big races before it and I knew then if I wasn’t in the mix I knew I wouldn’t have been good in the races either. The head just wasn’t there and there’s a lot of risks to be taken in races too and if you can’t take them…”. Arguably, his greatest achievement was pulling on the race leader’s yellow jersey in the 2008 Rás while riding for An Post-Sean Kelly. But a terrible crash coming out of Limerick early in the race ended his chances of a high placing, and effectively his career too. “I’d say that day ruined my career,” he acknowledges. He tried correcting the problem, at great financial cost to himself, but nothing was working. Cassidy, who won a glorious stage of the Rás into Kilcullen in 2010, said though he has only been out on his bike for an hour about twenty times since he came home in March he would not rule out racing at home next year.